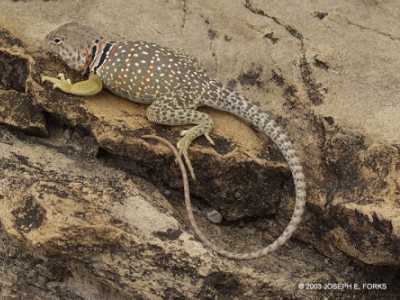 This is a male Brewster County Crotaphytus collaris, photo courtesy Joe Forks. 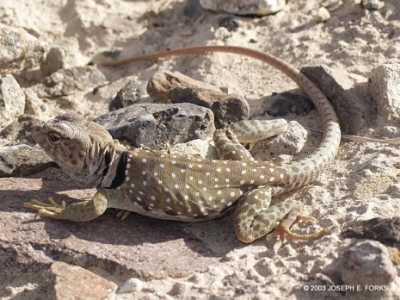 Close-up of the same lizard, photo used with Joe Forks' permission. 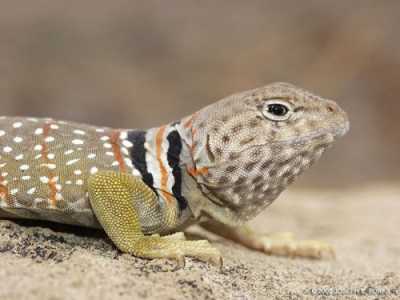 This is a female Brewster County Crotaphytus collaris, photo courtesy Joe Forks. 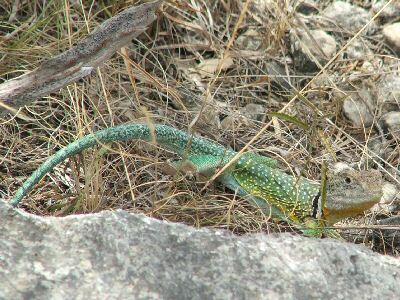 Here is a colorful male from the Wimberley area (central TX). 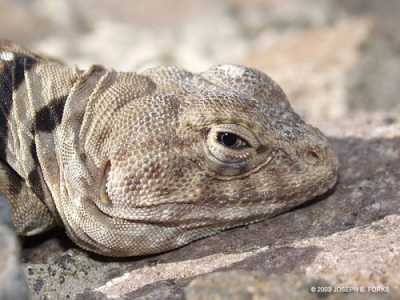 Photo by David Turner; used with permission.